The Freaks of Mayfair (1916) takes aim at high society in his satire portraying this collection of "compleat snobs." 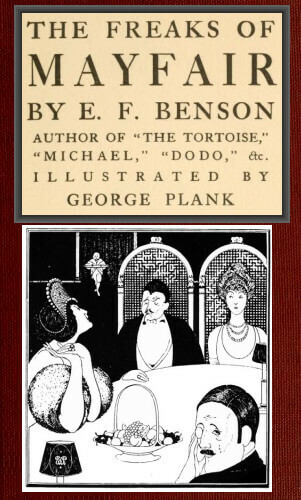 Illustrated by George Plank, and dedicated to "Frank Eyes and Kindly Ears." Chapter Eleven - "Sing For Your Dinner"
Return to the E.F. Benson library.